There were a number of genre awards in this year's Grammy awards but Danny Glover and Carrie Fisher came out on top. The GRAMMY Award (stylized as GRAMMY) is an award presented by The Recording Academy to recognize achievement in the music industry. Carrie Fisher posthumously won her first GRAMMY Award at the show’s Sunday, January 28, ceremony. It’s almost one year after her passing. The late star of movies and television best known for her role as Princess Leia in the Star Wars movies. She won the award for Best Spoken Word Album for the audio version of her 2016 memoir, The Princess Diarist. Other nominees in the category included Neil Degrasse Tyson, Bernie Sanders, and Avengers star Mark Ruffalo. Fisher died on December 27, 2016, at the age of 60, from sleep apnea and other undetermined causes. One day later, Fisher’s mother, Debbie Reynolds, also passed away. 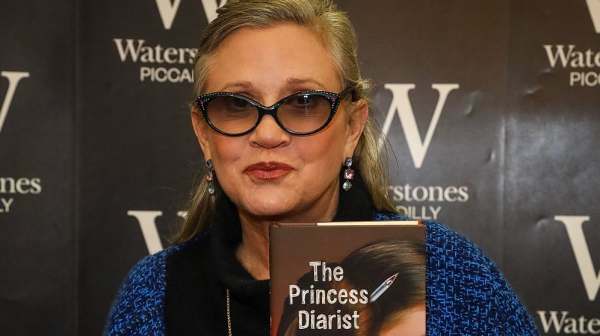 Fisher’s memoir, which was released five weeks before she passed away, was inspired by the diary entries that Fisher wrote while working on the first Star Wars film in 1977. Guardians of the Galaxy Vol. 2: Awesome Mix Vol. 2 lost the Grammy for Soundtrack for visual media to La La Land. It’s Marvel Studio's first GRAMMY nomination. Donald Glover aka Childish Gambino, star of Solo: A Star Wars Story and Spider-Man: Homecoming won Traditional R&B performance award for "Redbone". It's wonderful that Carrie Fisher still inspires after all this time and it's heart-warming to see the self-proclaimed geek Danny Glover getting R&B credit. What do you think of this year's awards? Are they deserved?